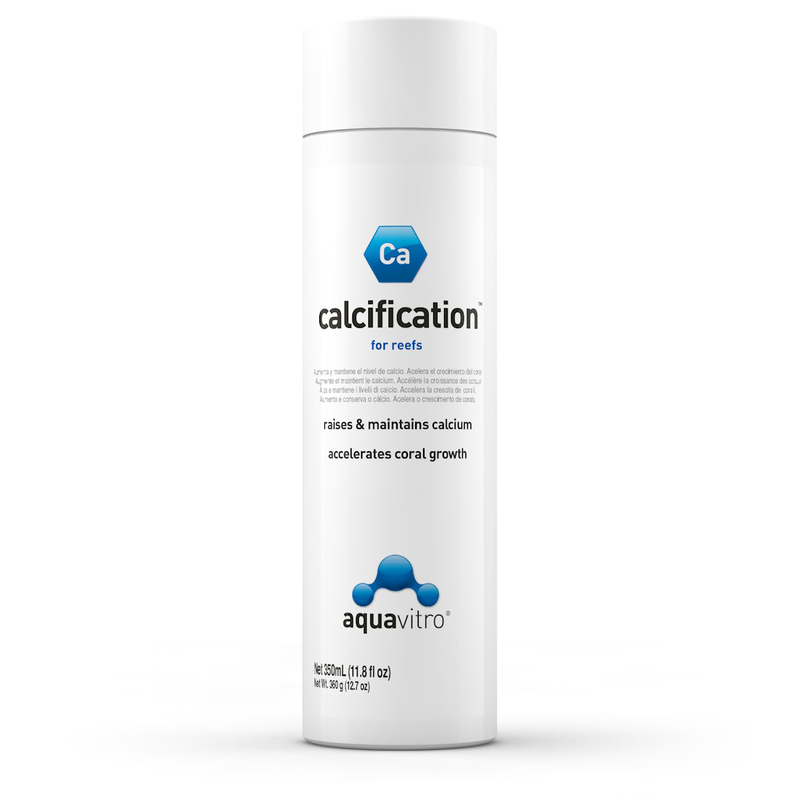 calcification™ is a concentrated (140,000 mg/L) optimized blend of ionic and bioavailable gluconate-complexed calcium designed to restore and maintain calcium to levels found in natural seawater, without affecting pH. 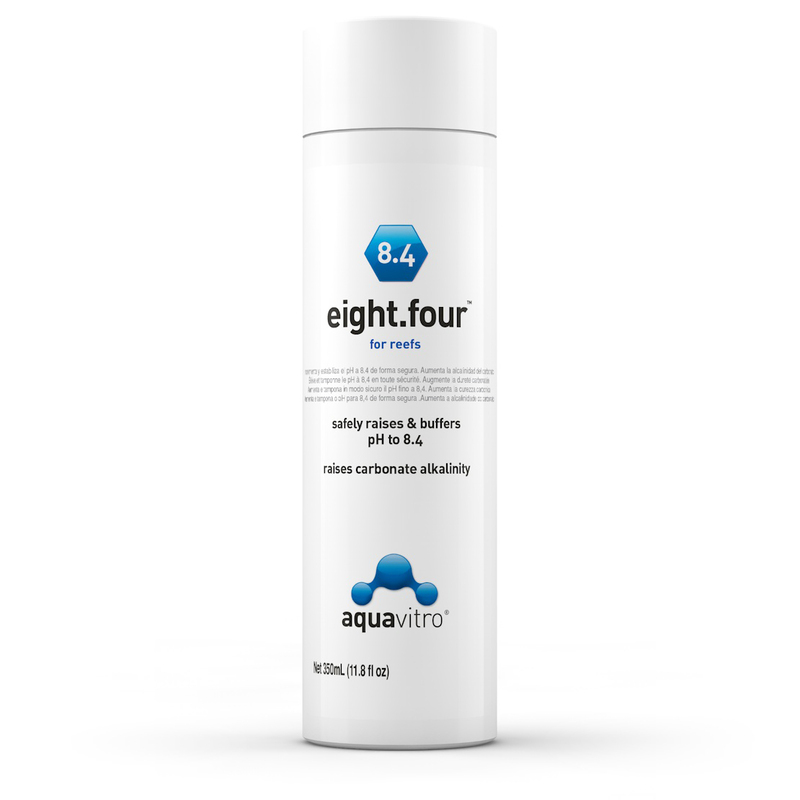 eight.four™ will safely raise marine pH while adjusting alkalinity. 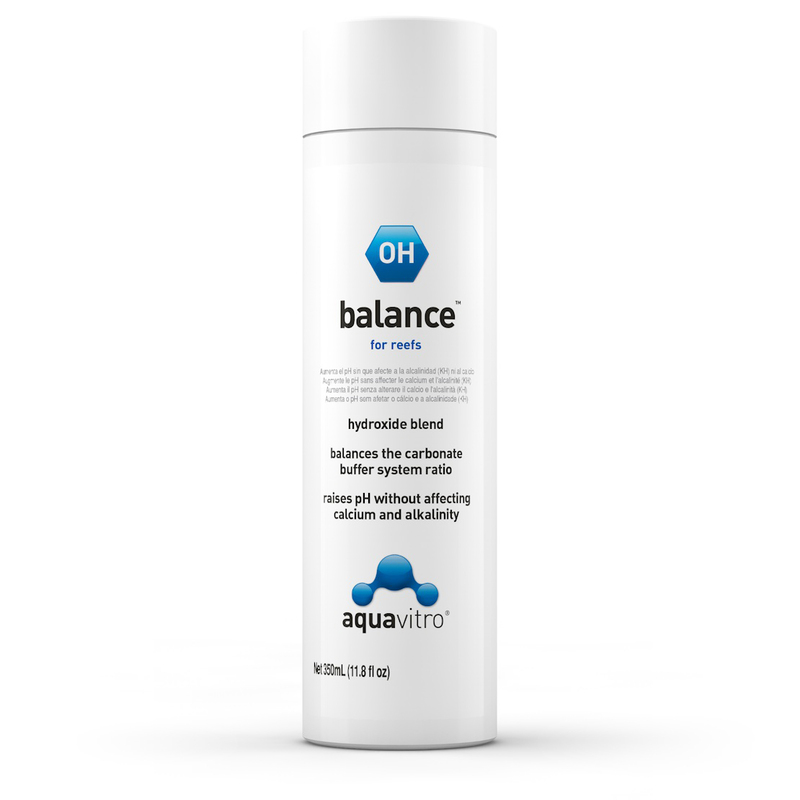 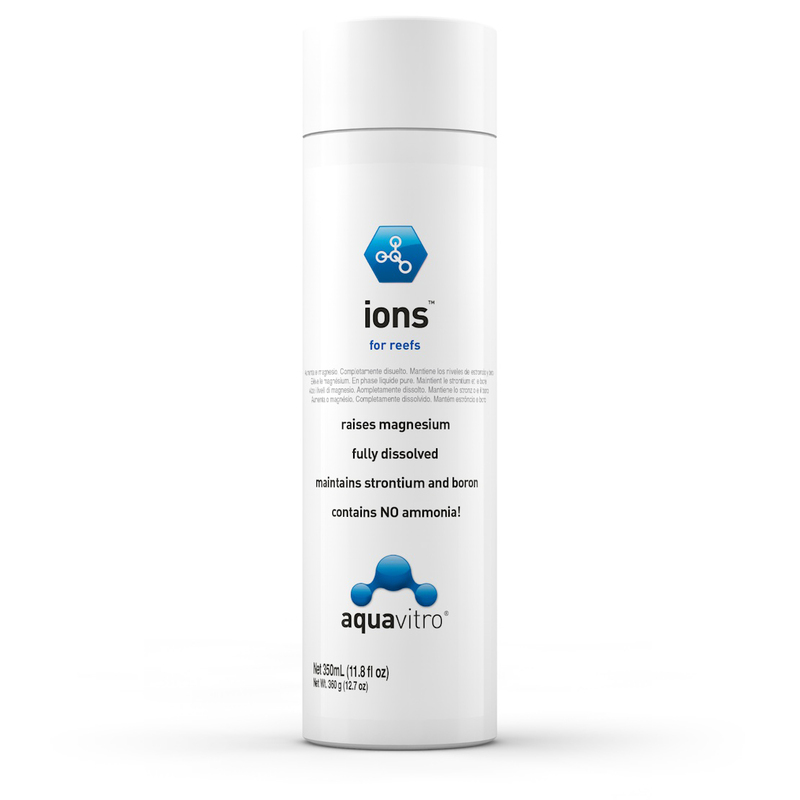 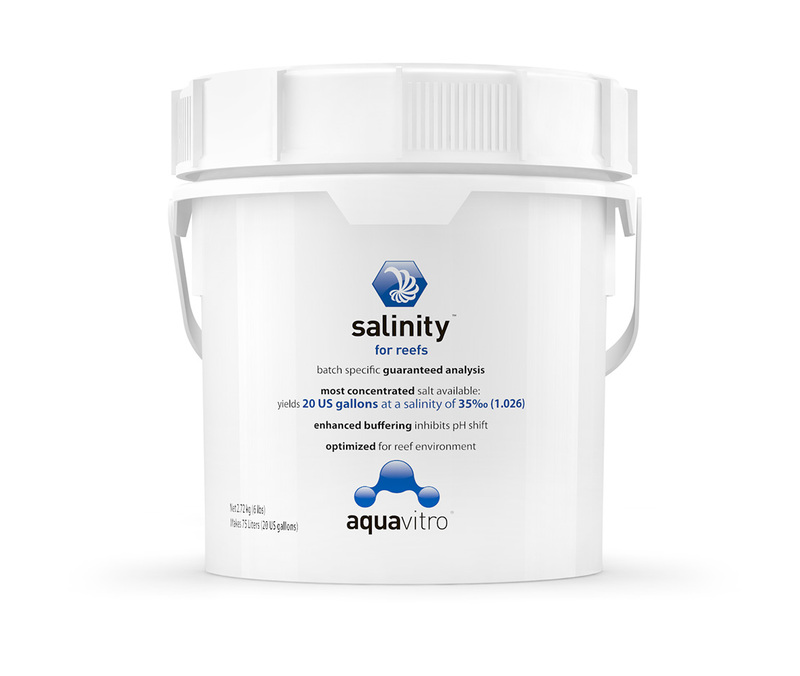 It contains a concentrated, balanced blend of bicarbonate and carbonate salts designed to restore disrupted buffer systems and increase carbonate alkalinity. 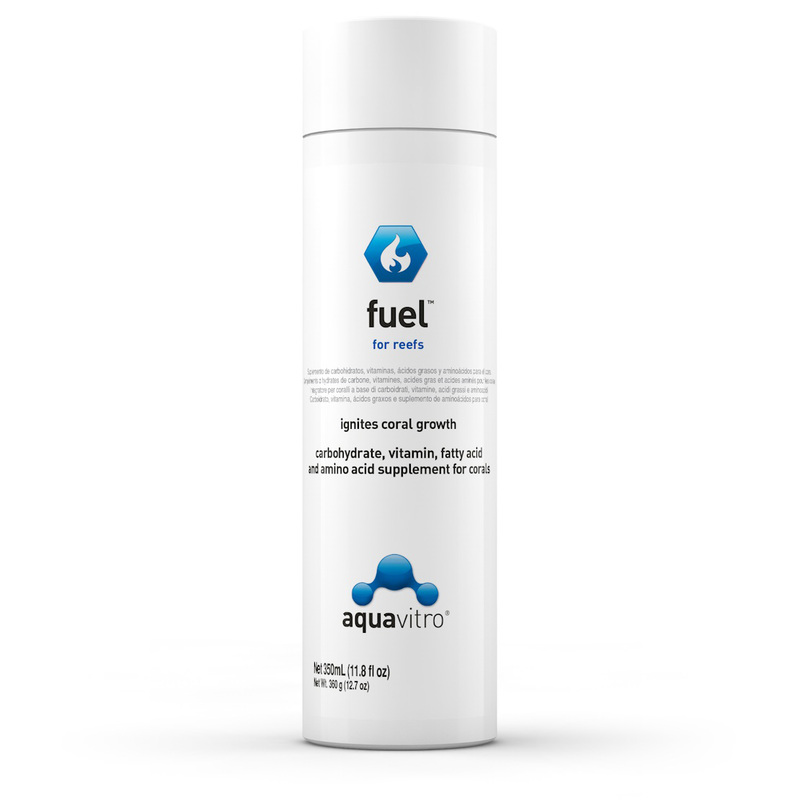 fuel™ is a comprehensive carbohydrate, vitamin, amino acid, polyunsaturated fatty acid, and trace element supplement developed to address nutritional requirements commonly associated with corals. 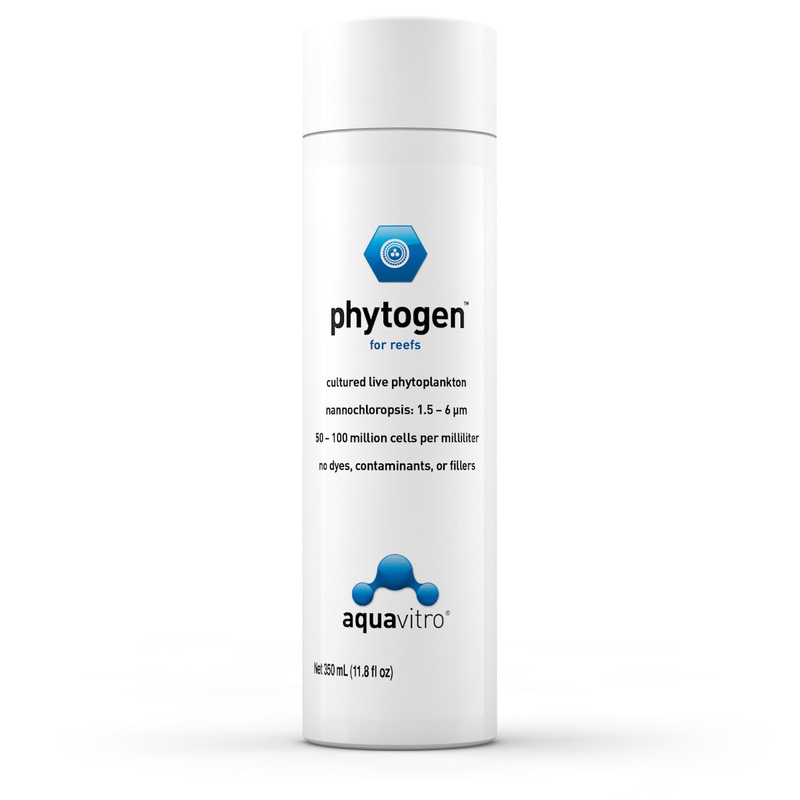 phytogen™ is a premium live concentration (50–100 million cells per milliliter) of Nannochloropsis phytoplankton. 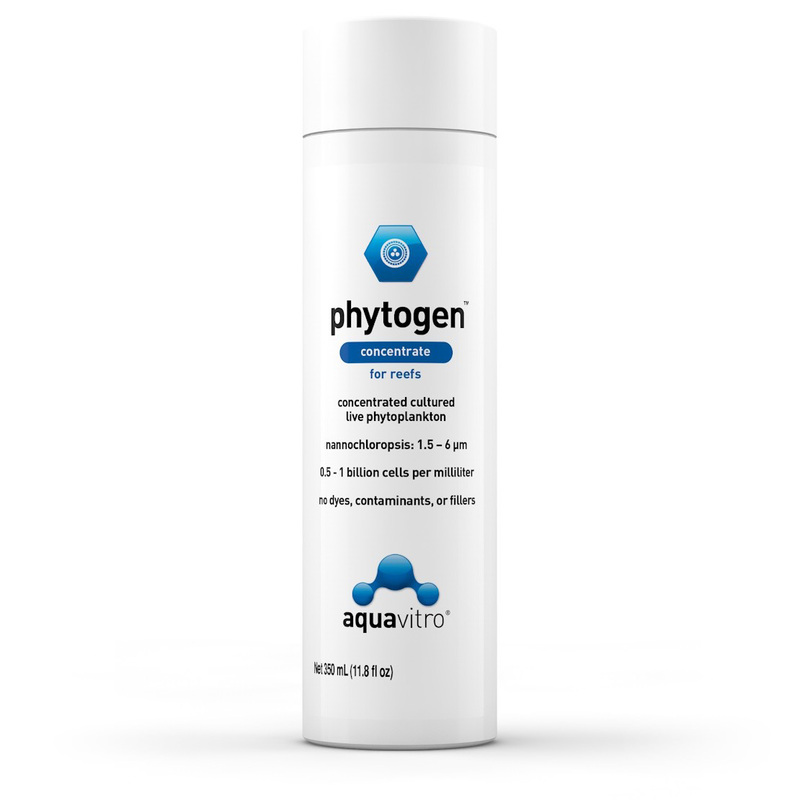 phytogen™ concentrate is a premium live concentration (0.5 – 1 billion cells per milliliter) of Nannochloropsis phytoplankton. vibrance™ is a highly concentrated (10,000 mg/L) naturally stabilized potassium iodide source for reef aquaria that will restore and maintain iodide levels to those found in natural sea water. 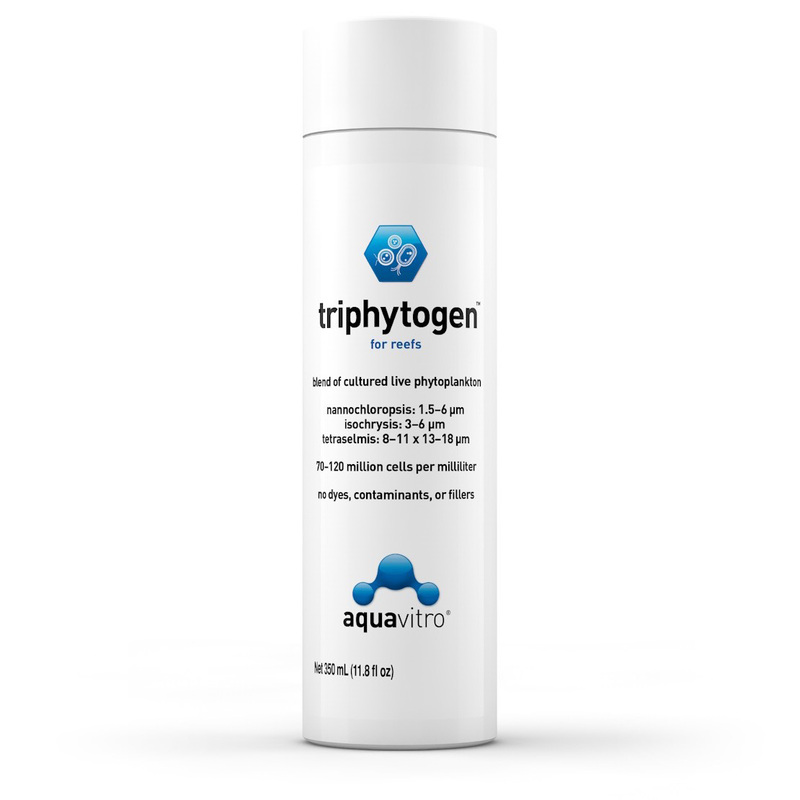 triphytogen™ is a premium live concentration blend (70–120 million cells per milliliter) of Nannochloropsis, Isochrysis, and Tetraselmis phytoplankton. 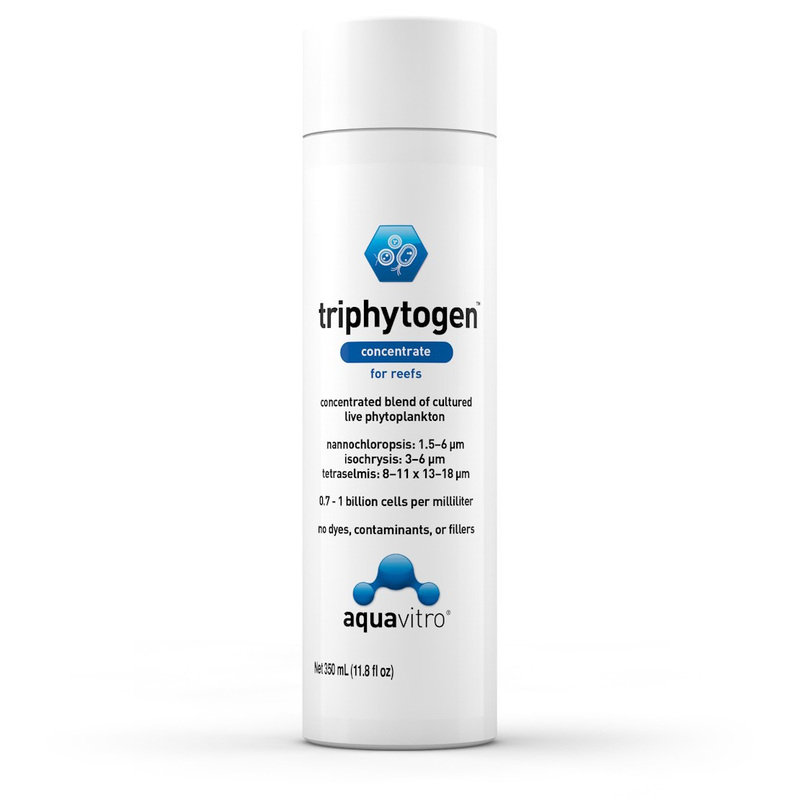 triphytogen™ concentrate is a premium live concentration blend (0.7 - 1 billion cells per milliliter) of Nannochloropsis, Isochrysis, and Tetraselmis phytoplankton.